All our professionals at Renee Feldsher, DMD maintain the highest levels of accreditation and pursue ongoing education to stay abreast of the latest trends in dentistry. Dr. Renee Feldsher graduated in the top of her class from the University of Pennsylvania School of Dental Medicine in 1997. Her honors include election into Omicron Kappa Honorary Dental Society, the Matthew Cryer Society Award in Oral Medicine, the J. George Coslet Award in Periodontics, and the National Board Achievement Award. Upon graduation, Dr. Feldsher went on to complete a General Practice Residency at West Jersey Hospital. Currently, she is a member of the American Dental Association, the Pennsylvania Dental Association, and the Montgomery Bucks Dental Sociey. Dr. Feldsher is continually updating her knowledge and skills by participating in numerous continuing education courses, including those offered by the Bucks County Mini residency Program, a prominent local study club for area dentists. She is also a member of Spears Study Club which is led by expert clinicians presenting the latest techniques. She is certified in Invisalign and Clear Correct “invisible braces” therapy. In her spare time, Dr. Feldsher enjoys kickboxing and spinning classes. She is married with two daughters and resides in Bucks County, PA. At her office, Dr. Feldsher is concerned with patient well being, emphasizing high quality care and a positive patient experience. Angela graduated with a degree in Dental Hygiene from New York Technical College in 1987. She is also certified as a Public Health Dental Practitioner as well as certified by the University of Pennsylvania in periodontal instrumentation. Angela is committed to staying on the leading edge of dentistry by taking a wide variety of continuing education courses. When away from the office, she enjoys exercising and playing tennis. 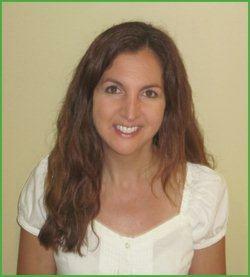 Theresa joined our staff in 2010 and has been working in dentistry since 1994. She is both X-ray and CPR certified. Her dedication and willingness to help wherever needed has given her a sense of pride in her work as a dental assistant. When Theresa is not taking care of patients, she enjoys the beach and spending time with her husband. Also, she is an avid Flyers fan. Denise has been a board certified hygienist for 34 years and stays current with continuing education on all procedures and the latest advances in technology. She is committed to providing personalized healthcare in a warm, supportive environment while building a foundation of trust with all patients. On her days away from the office Denise enjoys gardening, shopping, strolling through her hometown of Doylestown, and spending time with her family. Debbie has been working with Dr. Feldsher since 2007. She is a registered dental assistant who is both X-ray and CPR certified. Debbie loves to make conversation, and her warm, friendly nature puts even the most anxious of patients at ease. When she is not at the office, Debbie enjoys spending time with her husband and son.